This is a PREORDER RESERVATION and it is expected late summer 2019. Please see the Preorder instructions below.. 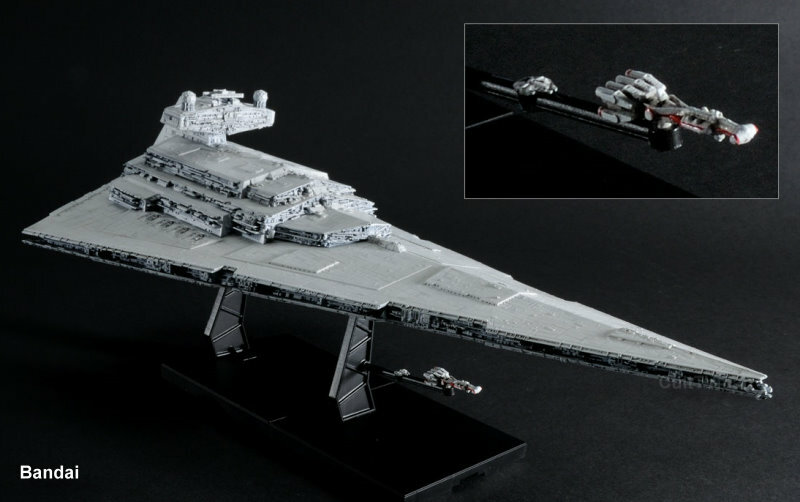 This is a regular edition of the 1:5000 Star Destroyer from Bandai. Kit measures almost 13 inches when built. It will include the Falcon and Blockade Runner in scale. NOTE: We may not be able to fill all preorders when the kit is first available, but we have been able to fill all orders for Bandai kits. Please keep this in mind when you preorder. About Bandai Preorders: The Bandai kits are imported from Japan and may have limited availability. We may not be able to fill all preorders immeadiately when the kits become available. It all depends on how many kits we can get.